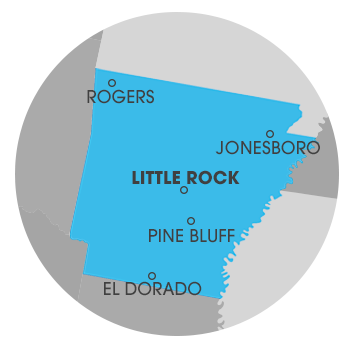 Contact us today for a Free Estimate on backup sump pump installation in North Little Rock, Little Rock, Benton, Jacksonville, Greenbrier, Maumelle, Sherwood, Alexander, Hensley, Bryant, Mabelvale, Perryville and the surrounding Arkansas area. At Crawl Space Solutions of Arkansas, we install sump pump systems that are equipped to handle your basement water problem. Sump pumps can lose power for a variety of reasons aside from the obvious power failure. It's possible for a circuit to trip, especially pumps plugged into GFI outlets. At Crawl Space Solutions of Arkansas, we've also seen many cases where the pump was unplugged by someone who needed to use the outlet, but forgot to plug the sump back into the outlet. In some situations, this has led to water damage to nearly everything stored in the basement. Crawl Space Solutions of Arkansas offers Free Estimates of backup sump pump installation in Little Rock, North Little Rock, Benton, Jacksonville, Alexander, Sherwood, Greenbrier, Maumelle, Mabelvale, Bryant, Hensley, Perryville and surrounding Arkansas areas.